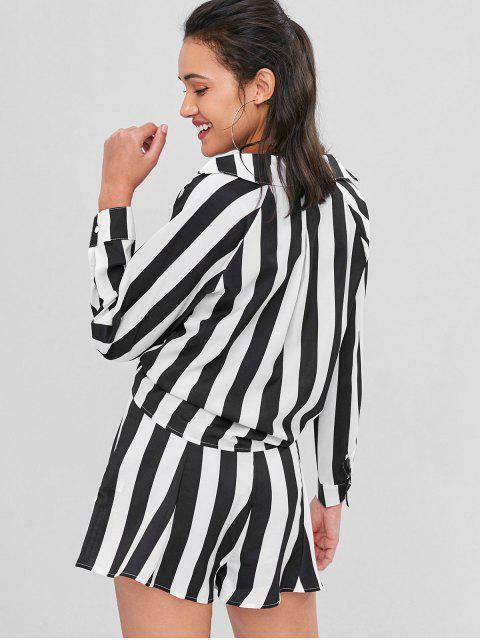 [30% OFF] 2019 Striped Tie Front Shirt And Shorts Co Ord Set In MULTI | ZAFUL ..
Super cute! Looks exaclty like the pictures. Love it!!! This is a ladies tie front and a high waisted shorts two-piece set in vertical stripes print. The shirt features a classic pointed collar, an open front fastened by a self-tie, raglan long sleeves with buttoned cuffs. These high-rise shorts are fastened by a concealed side zip.